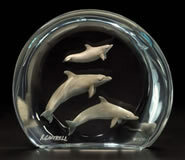 A favorite and much beloved ocean dweller is the awe-inspiring dolphin, bringing to mind beauty, grace and playfulness. 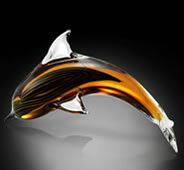 While dolphins are always an unexpected and delightful sight to behold in their natural habitat, our beautiful dolphin sculptures and statues can help you bring some of that magic to your own home, allowing you to have a ′sighting′ whenever you wish! Rich in detail and presence, our beautiful sculptures are created from fine materials such as bronze, pewter, crystal, Lucite, designer resins and hand painted porcelain. 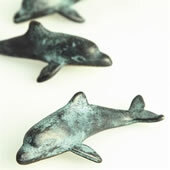 We also carry a wide assortment of dolphin wall sculpture and marine life seascapes in enameled copper to help enliven your living area. 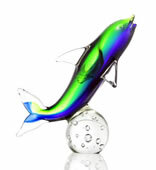 For the outdoors, AllSculptures.com offers a magical selection of dolphin garden statues and fountains. Our expert customer service team will be happy to help you make a special selection or answer any questions that you may have.